Divorce is not only messy for families, but it can also bankrupt them. Recent budget papers reveal that the government is planning massive hikes in Family Law fees, which would raise at least $90 million in revenues. 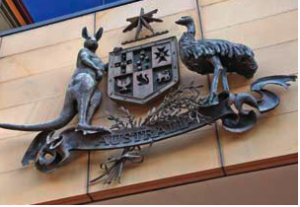 Unbeknown to many, the Federal Government has been preparing to jack up court fees from July 1, raising the cost of filing for divorce in the Federal Circuit Court of Australia from $845 to $1195. Senior associate Amy Honan said some people were rushing to exit unhappy marriages before the price rose. “When I’ve advised clients of the increase of the fee from 1 July 2015 they’ve taken that opportunity to instruct me to file their application urgently,” she said. But Women’s Legal Service co-ordinator Rosslyn Monro said the increase was a “disincentive” to divorce for some and was especially concerning for women escaping family ­violence. She said some victims had to save up in secret while planning their escape from an abusive relationship to make sure they could look after themselves and their children. Increased court fees made it harder, especially for women who had to quit their jobs to flee to safety, she said. “I think particularly for the kinds of clients we see, increasing filing fees are a disincentive,” Ms Monro said. She said being able to get a divorce and put parenting plans in place through the Family Court was often needed to help people move on with their lives. As well as the divorce filing fee, an application for consent orders — used in parenting and property matters — rises from $155 to $235, and filing a subpoena to require someone to give evidence jumps from $55 to $120. People who can demonstrate hardship can be granted a reduced fee of $280 to file for divorce. The fee rises will raise $87 million over the next four years, with $22.5 million of that to be injected back into the courts. In addition, the Government has committed $30 million for maintenance work to court buildings. A spokesman for the ­Attorney-General, George Brandis, said fees only raised a third of the cost of running the courts, so taxpayers were still heavily subsidising services. Mr McConnel, from the the Law Council of Australia, has said that the fee rises were a “heavy blow to access to justice” and called for the changes to be reversed. “Many people on middle to low incomes may now find it simply too expensive to enforce their rights through the courts, which will undermine the rule of law and the proper administration of justice,” he said. A subpoena is a document issued by the Court which requires a person to go to Court to give oral evidence or bring documents, books or things to the Court which are in their possession, custody or control. If you are able to come to a final agreement about what arrangements should be made for your children, the division of your matrimonial property or financial support for either partner, then you can formalise your agreement without a court hearing. You do this by applying for 'consent orders'. Consent orders are as binding as any other order made by the Court.